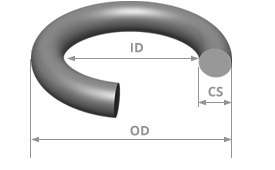 Standard Japanese O-Rings sizes. Tolerances vary by use, please see out tolerance pages. Thousands of non-standard sizes are available in stock or can be made within a few weeks typically without tooling fees so no need to settle for a less than optimal fit.